Don't use hazardous poisons and chemicals. Control insects and other pests by electronic and organic methods! 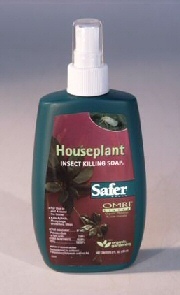 Safely kills aphids, mealybugs, whiteflies and mites in the home. Made of a soap derivative which is not harmful to anything except insects. 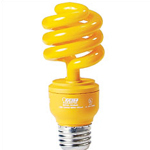 Controls a broad spectrum of insect pests. Out-catches others by over 400%. The light and heat attracts the fleas 24 hours a day & draws them from up to 25 ft away. 1 capture pad (included) holds up to 10,000 fleas. 1-yr warranty. Pest control for pets safely without insecticides and other dangerous chemicals! <The Anibio Tic-Clip offers a revolutionary approach to protecting your pet from ticks and fleas, without pesticides, squeeze-ons, sprays, or topical application of any kind! The Tic-Clip harnesses the power of the bioenergetic field around your pet to create an energy barrier that repels insect pests for two years. Please click here for Capstar to control fleas in dogs and cats at LOW PRICES. Available in as 6 tablets or SAVE ($$$) in bulk of 80 tablets for long term use. Effective herbal and homeopathic remedy for Lyme disease and other tick-borne illnesses in pets. "This natural flea powder will safely eliminate fleas on your pets and in your home. It is completely non-toxic, chemical-free, and odorless. You will see results in a matter of days, and fleas cannot build an immunity to its effects." "Fleabusters unique borate powder has many 'flea-killing' features. It is extremely fine and statically charged to cling to carpet fibers, with a neutral pH of 7.0 so fleas crawl through it and dehydrate." A penetrating shampoo that contains 3.8% Colloidal Oatmeal. Can be used for itching, dryness, scaling of dandruff, and certain types of dermatitis. Excellent for routine bathing to help control body odors. An aerosol spray to help kill unwanted pests. 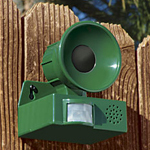 Ideal for protecting areas and entrances where your pets come and go. Bird Barrier keeps birds away! 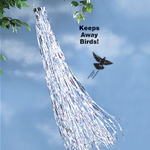 Safely uses a powerful magnet to disrupt the earth's magnetic field and redirect birds' navigation. Works within 20' radius! 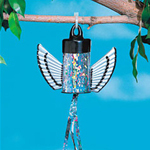 Won't harm birds, people, pets or the environment ... no chemicals, batteries or electricity. Birds flee from barrier's shimmering holographic surface, too! 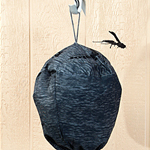 Hang from limb or pole to end damaged gardens and messy droppings. 4 1/ 2" wide x 6" high. Flea Control Nematodes help control fleas in the outdoor areas your pets frequent most. Lady beetle larvae devour aphids, Colorado potato beetle eggs and other pests. Tiny insect lays eggs in fly pupae. Parasites feed on, methodically destroy their prey--actually kill up to 95% of their targets. "Trichogramma Moth Egg Parasites - 30 Squares - 1 Card (120,000 eggs)"
"Prevent worm pests before plants become damaged with these moth egg parasites!Preferred food: The eggs of more than 200 pests, including borers, webworms, loopers, leafworms, fruitworms, cutworms, bollworms, and armyworms (except beet armyworms). The wasps lay their eggs in the pest eggs, killing them. 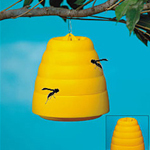 The adult wasps emerge anywhere from 7 to 75 days, depending on temperature and moisture.Release Trichogramma at first flight of moths and every 7-10 days thereafter until infestation subsides.Release rates: 12,000/500 sq. ft.; 10,000/acre weekly for 2-6 weeks. Each square on the card contains 4,000 Trichogramma eggs. Place the squares where moths are seen. Keep cards out of direct sunlight. CURRENT AVAILABILITY: Minutum: Available Platneri: Available Pretiosum: Not available at this time Choose the variety from drop down list below. T. minutum. - for ornamentals, orchards, and grapes east of the Rockies; 1 Card = 120,000 eggs T. platneri - avocados, ornamentals, orchards, an"
"CropGuard is made from Garlic, Yucca, Agave and other vegetable extracts.CropGuard is a repellent and eradicates mites and helps suppress small body insects such as aphids.Application rates: Use about half of the quart bottle diluted with 2-3 gallons of water in a garden lawn sprayer. For larger applications use approximately 2 quarts per acre. For indoor plants: take the plant outside and apply by misting to dampness. Leave outside for about an hour due to strong garlic odor which will dissipate." 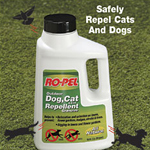 Kills and Repels bug for weeks!Bugs like food -- but it's unsafe to spray harsh chemicals! Use CitrusHome Pest control! It is made from orange peels and is safe to use aroundfood humans and pets. Kill ants, roaches, palmettos, fleas, silverfish, and other insect pests on contact. Spray the entire house(indoors and outdoors) with the 32 oz. ready to use spray!We guarantee your satisfaction or your money back. "Formulated using Neem, a natural tree oil that has been used in Asia for years to repel lice, mites, flies, mosquitoes, fleas, gnats, and ticks. Helps soothe itching and skin irritation. Kill Mosquitoes Before They Are Old Enough To Bite Recommended by Government Health Authorities! Place all-natural dunks anywhere water is left standing for more than a week. Safe for birdbaths, rain barrels, ponds, ditches, tree holes, roof gutters, unused swimming pools, and anywhere water collects. Summit Mosquito Dunks Work! Used by professionals for more that a decade, Mosquito Dunks have proven their value in destroying Mosquitoes - by killing the larvae before they mature into biting adult pests. Made with natural B.t.i., Mosquito Dunks represent a major breakthrough for people and the environment when compared with the traditional toxic chemical approach to mosquito control. Dunks Are Simple! Once a month float a Dunk in the Water Garden and every place water accumulates around your home - you'll be rid of mosquitoes for the whole season. Each Dunk will effectively treat up to 100 square feet of surface water regardless of depth. Dunks may be broken to treat small areas. Unused and dried out Dunks retain their potency indefinitely. Buy in Bulk Save! Low Price Guarantee! 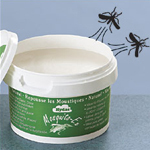 Bio Mosquito Control 1/2 oz. the light and are drawn in to a removeable compartment by a fan. "Havahart 3-Pc. Electronic Deer Repellers, Model# 5250"
Our humane mousetrap lets you capture multiple mice at a time without harming them. There's no setup required. No springs or winding. No poisons or glue. Its teeter-totter design allows mice to walk into the steel trap - but not out! Top window lets you see it's time to relocate mice - far from home! Reusable. 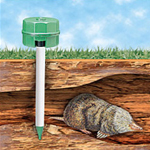 10 1/4"x 6 1/8" x 2"D.-Get Rid of Mice the Way the Pros Do!-No Poisons. No Killing. No Resetting. No Cleanup. 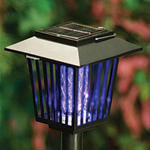 Flea Traps may capture any insect that is attracted my light. Mine has captured spiders, flies, and crickets! Click here for All Natural Weed & Feed Lawn care from Gardens Alive!